The Malawi Cancer Consortium is headed by UNC Lineberger faculty member Dr. Satish Gopal and housed in UNC Project Malawi Titzewe Center. The UNC-Malawi Cancer Consortium is funded through a multi-investigator grant from NCI (U54 CA190152) to Drs. Satish Gopal, Sam Phiri and Blossom Damania. We are very excited to have obtained support to build a new wing to the center to house the pathology laboratory and additional treatment and physicians offices. Titzewe Center is located on the campus of Malawi’s only tertiary hospital (Kamuzu Central) in the capital Malawi and operated in close partnership with the hospital and the Malawi Ministry of Health. 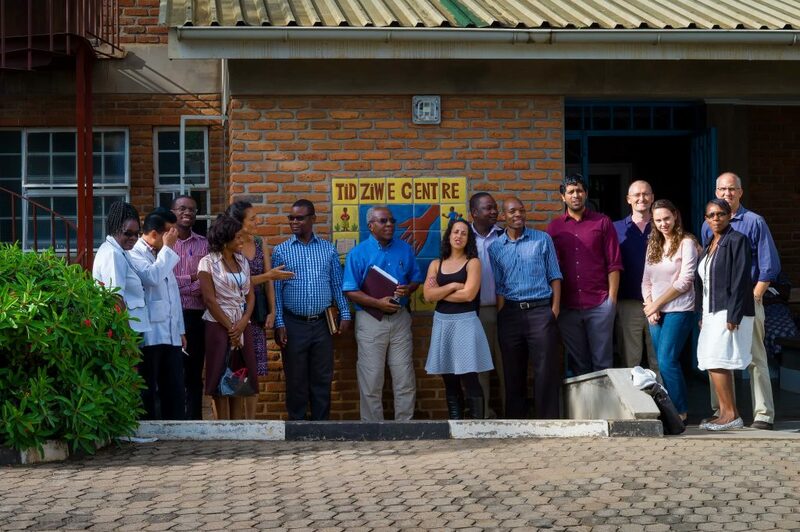 UNC physicians at Titzewe are certified in Malawi and in the US. The UNC-Malawi Cancer Consortium is funded through a multi-investigator cooperate grant (U54 CA190152) between UNC Lineberger and Lighthouse Trust, the Malawi Ministry of Health, and University of Malawi College of Medicine. The UNC-Malawi Cancer Consortium firstly seeks to contribute to an accurate accounting of all all cancer incidences in Malawi. Malawi is one of only a handful of countries in Africa that contribute data to the WHO/IARC world-wide cancer registries. The UNC-Malawi Cancer Consortium secondly seeks to understand lymphomas (pediatric and adult) in Malawi and to develop new treatments for this devastating disease. The UNC-Malawi Cancer Consortium lastly seeks to understand Kaposi Sarcoma (pediatric and adult) in people living with HIV/AIDS in Malawi and to develop new treatments for this devastating disease.